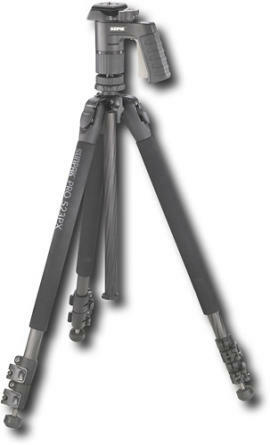 Sunpak has just released its latest addition to its outstanding tripod line. The 523PX Pistol Grip Tripod is a cheap, full-size tripod that has a pistol grip ball head and is made of carbon fiber which makes it very lightweight and portable. The 523PX Pistol Grip Tripod has seven-layer carbon fiber legs. It is 27.3 inches long when collapsed, and can be extended to a maximum height of 64 inches. It has three leg angle lock positions for low-angle photography, with a minimum height of 12 inches. 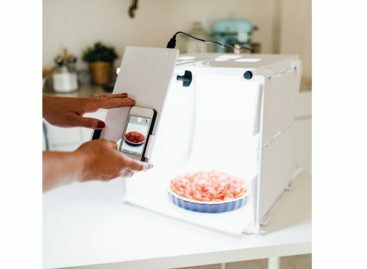 In addition, it has a second center column for low-level photography, as well as retractable leg spikes for outdoor use. Additional features include a detachable, quick-release camera plate that can hold up to 6.1 pounds, a built-in bubble level for setting up shots, and foam leg pads that make carrying comfortable. The Sunpak 523PX Pistol Grip Tripod includes a padded tripod carrying case with shoulder strap, and a lifetime guarantee.